Sometimes it is just fun to throw a party, even if you don’t have a reason to! Lately I have been doing a lot more design work (I got a part-time gig for during nap times), but it’s always fun to design things just for the heck of it. I wanted to make you all something a little different from the other printables I have in the past. 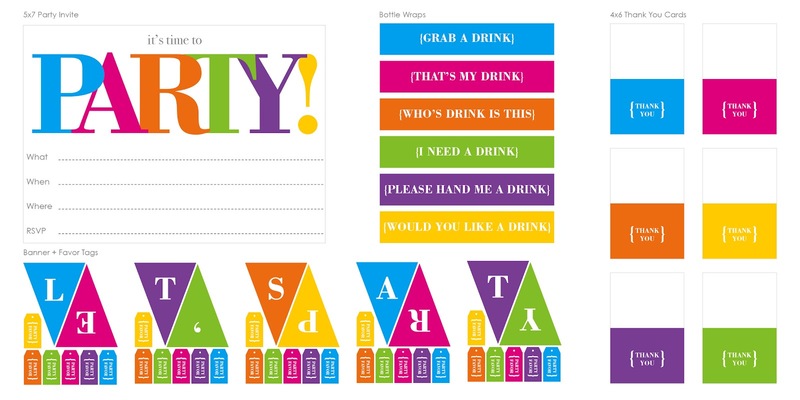 If you are planning on throwing a party soon, or in the near future; here is a full pack of party printables you can use to whip your shindig together in no time. It’s summer after all, so call up your friends, invite a neighbor and party on – I hope you enjoy! How sweet are you!!! What a great printable!! LOVE the colors! Love these! I just pinned them!